Successfully Added Ulefone Armor 2S Rugged Smartphone - 5 Inch Display, 4G, Android 7.0, Quad Core CPU, 2GB RAM, IP68 (Gold) to your Shopping Cart. The Ulefone 2S has a rugged build that confers an IP68 rating. Along with the Gorilla Glass screen protection this awards the phone with superior protection from water, dirt, and drops. It can withstand an hour submerged in water and survive drops of 1.5 meters. So if you're looking for a phone that can take the knocks and punishment of an adventures outdoor life then this phone fits the bill. With 4G connectivity, you can connect to the fastest cellular providers and the supported 4G frequencies (B1 / B2 / B3 / B4 / B5 / B7 / B8 / B17 / B20) offer wide coverage allowing the phone to accompany you on overseas travels where it can still keep you connected. The phones 5-inch display is protected from drops and abrasions by Corning Gorilla Glass. With full HD resoluitions, good brightness and color range you get a great viewing experience even in bright daylight conditions. Whats more the screens rugged projection keeps it looking great for longer as it's not susceptible to scratches and or other damage. Thanks to a Quad Core MediaTek 6737T CPU and 2GB of RAM this rugged phone packs a powerful performance. It is capable of smooth operations for multitasking a gives a reliable gaming performance. With an Androids 7.0 OS, you get an intuitive user experience with plenty of optimizations and the best google feature to take advantage You will have 16GB of storage that is easily expanded with a micro SD card so you'll have no shortage of space for games, apps, and media. A 4700mAh battery in the Ulefone Armor 2S means you have hours of usage time from every charge. Thanks to the type C charging port you will also have swift charging times when the battery finally needs topping up. 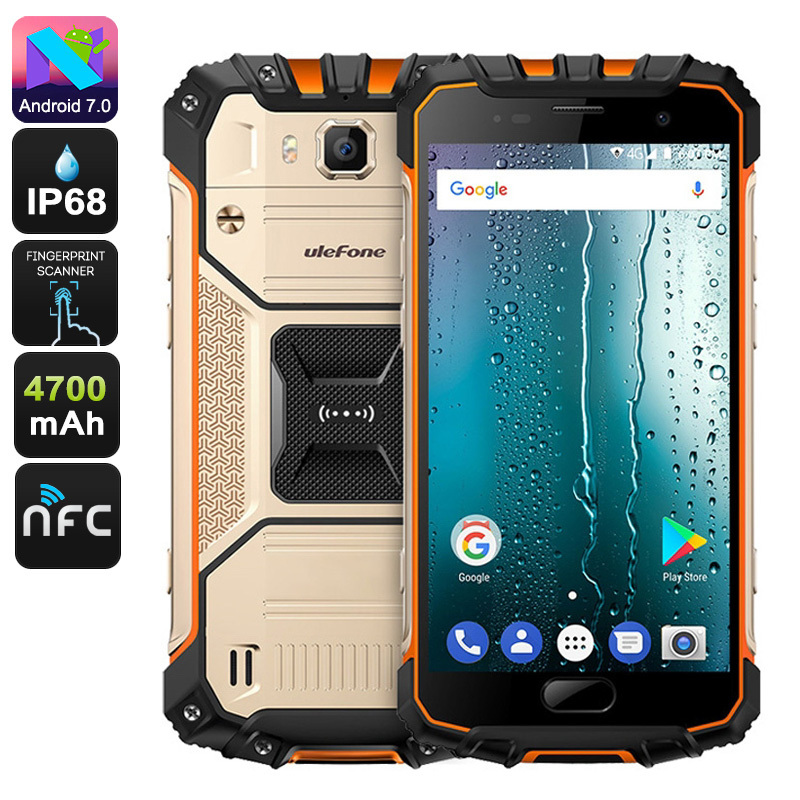 The Ulefone Armor S2 rugged phone comes with a 12 months warranty, brought to you by the leader in electronic devices as well as wholesale rugged smartphones. Type-C transfer 3.5mm headphone jack.